​Manchester City are looking to bring in some competition for Benjamin Mendy and have identified Leicester City's Ben Chilwell as a top transfer target. Mendy is the undisputed first choice left-back at City, but injuries have disrupted his short career with the Citizens, only making 20 first-team appearances during his 18-month stay at the Etihad. He recently returned to action with a substitute appearance against Burton Albion in the Carabao Cup, after recovering from a knee operation. According to ​ESPN, Pep Guardiola is aware that ​City are lacking when it comes to competition for ​Mendy, and he is keen to bring in a new left-back in the summer transfer window - with Chilwell being one of the top targets. Chilwell broke into the first team setup at ​Leicester in 2016 and has since gone on to become a regular in the Foxes' starting XI. His performances have also helped him win five caps for the England senior side, with his first coming in a friendly against Switzerland in September. City are looking to get their business done early this summer and, alongside a new left-back, they are also looking to bring in a new defensive midfielder to provide some cover for the ageing ​Fernandinho. 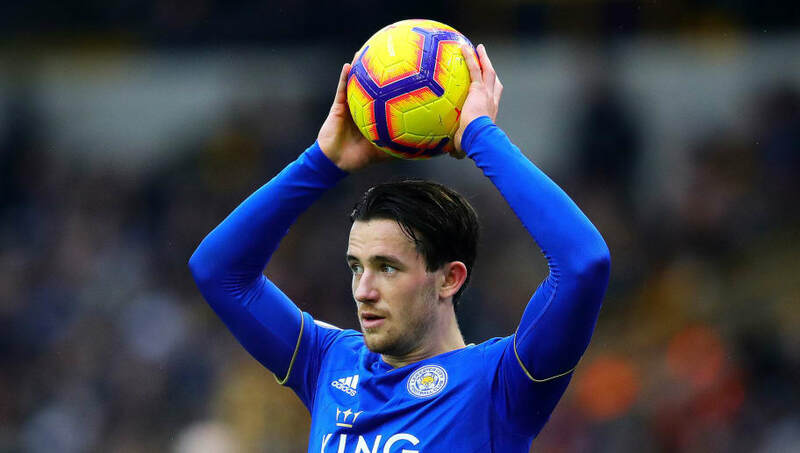 Chilwell is contracted to remain with Leicester until 2024, having signed an extension with the club back in October, so City are more than likely going to have to pay over the odds to tempt the Foxes into letting go of one of their prized assets.